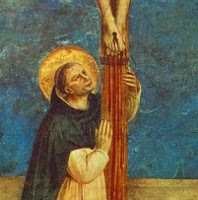 A true Dominican is first and foremost a contemplative after the example of our holy father Dominic who spoke only with God or of God during his lifetime. Motivated purely by a deep love for God and for souls, St. Dominic lived a life of fervent prayer and deep union with God while spending his day preaching for the salvation of souls. Abbot William Peter of St. Paul’s monastery in Toulouse, who knew St. Dominic, testified that he had never seen anyone pray or weep so much. His passion for souls often forced him to cry out: “O Lord, have mercy on thy people…what is to become of sinners?” In the words of St. Gregory, our holy founder truly drank the truths in contemplation which later poured out in his preaching, and he taught his children to live and act in the same way. Hence, the primary purpose of the Order of Preachers is contemplation. This came from St. Dominic’s strong belief that only by being a contemplative can a Dominican be a zealous apostle because from the fullness of the heart, the mouth speaks (Matt. 12:34). Thus, any Dominican who is not eager to become a contemplative is falling short in his or her Dominican spirit! 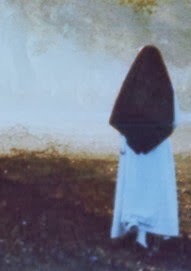 Besides the three vows of obedience, chastity and poverty, the contemplative life of the Dominicans is safeguarded by a regular life with its monastic observances, solitude, penance, prayer, study and silence. Needless to say, the vocation of the Order is awe-inspiring. It allows the members to achieve the two highest statutes of God’s commandments, namely, to love the Lord, our God with our whole heart, with our whole being, with our whole strength, and with our whole mind; and to love our neighbor as ourselves (Luke 10:27). 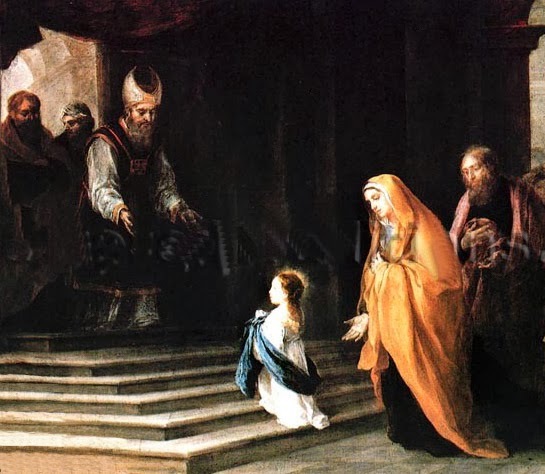 Today, as we celebrate the memorial of the Presentation of the Blessed Virgin Mary, we give grateful praise to the Lord for the gift of the contemplative life given to our holy mother Church through the faithful prayer life of our brothers and sisters. May these "co-workers in the mystery of Redemption" follow faithfully in the footsteps of our Blessed Mother who is the model of the contemplative life. We also give thanks to all those who help to sustain their life of prayer and contemplation for the needs of the Church, for our world and for souls. And we pray that our merciful God will bless his Church with an abundance of vocations to the cloistered and monastic life. * Fr. Jean Joseph Lataste O.P. William Hinnebusch O.P., Dominican Spirituality. The heart of Dominican life is brotherly (or sisterly) love. The Order of Preachers is one of the unique Orders in the world that has a familial relationship among its branches, friars, nuns, laity, apostolic sisters, associates, and volunteers under the umbrella of the Dominican family. The fraternal element in our Dominican spirituality emphasizes the value of common life where the friars or the nuns have ample opportunities to do mortification and sacrifices for the salvation of souls. The community life also offers protection to its members through the vows, the habits, and the enclosure. While community life at times can be difficult due to human failings or when personalities clash, community is a great source of strength and blessing because by living in it peacefully, we become the eschatological sign of what our life will be like in Heaven. Furthermore, in our monastery, community life provides an environment of solitude and silence which are conducive to prayer and contemplation. 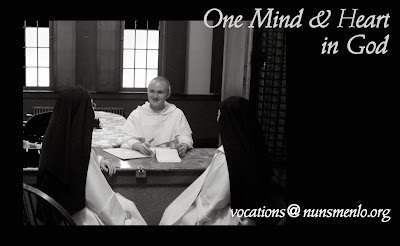 Since the beginning of the Order, St. Dominic nurtured a fraternal relationship between the friars and the nuns by personally taking care of the spiritual needs of the nuns. This fraternal care continues until this day by the friars of our Order. So as we celebrate the feast of our brother Albert today, we give praise to God and gratitude to our friars for supporting our spiritual needs faithfully and for being our true brothers after the example of our holy father St. Dominic. 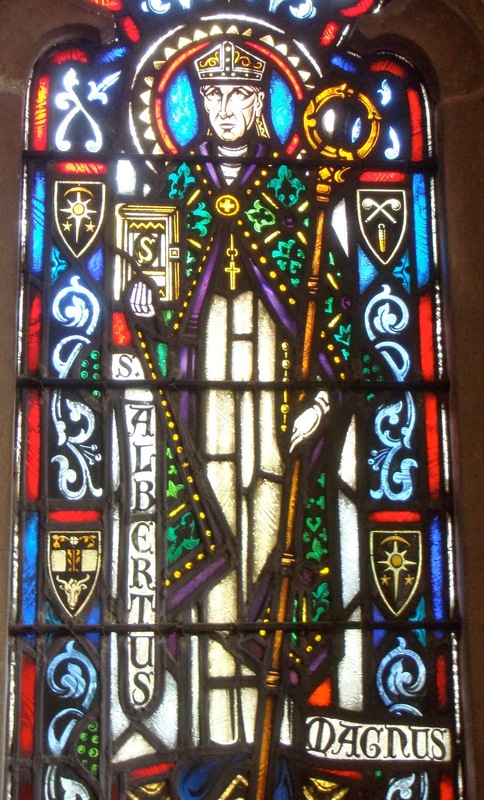 We pray especially for all the Dominican brothers at St. Albert's Priory, and ask God, through the intercession of St. Albert, to send us many more vocations! 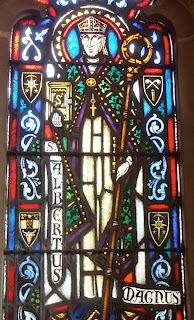 Window of St. Albert Priory in Oakland, CA. What is the "Quidditas" of the Dominicans? We give thanks to God and rejoice with the whole Dominican Order as we celebrate the Dominican Family Day on this Feast of all Saints of the Order! The Order of Preachers has been blessed with many saints and blesseds such as our holy founder St. Dominic, St. Peter of Verona, St. Thomas Aquinas, St. Albert the Great, St. Martin de Porres, St. Hyacinth, St. Agnes Montepulciano, St. Catherine of Siena, Bl. Imelda, Bl. Diana, Bl. Henry Suso and many more holy men and women including the newest addition of the Dominican family, Bl. Piergiorgio Frassatti. 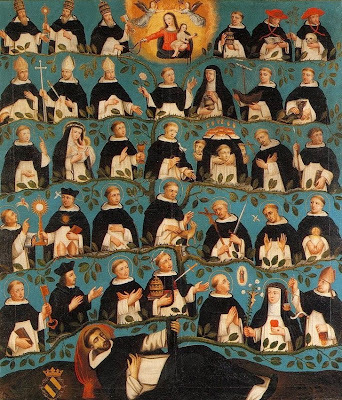 What do these saints and blesseds have in common other than that they belong to the Dominican Order, professed the same vows and lived their religious life according to the Rules of St. Augustine, the Constitutions and the traditions? 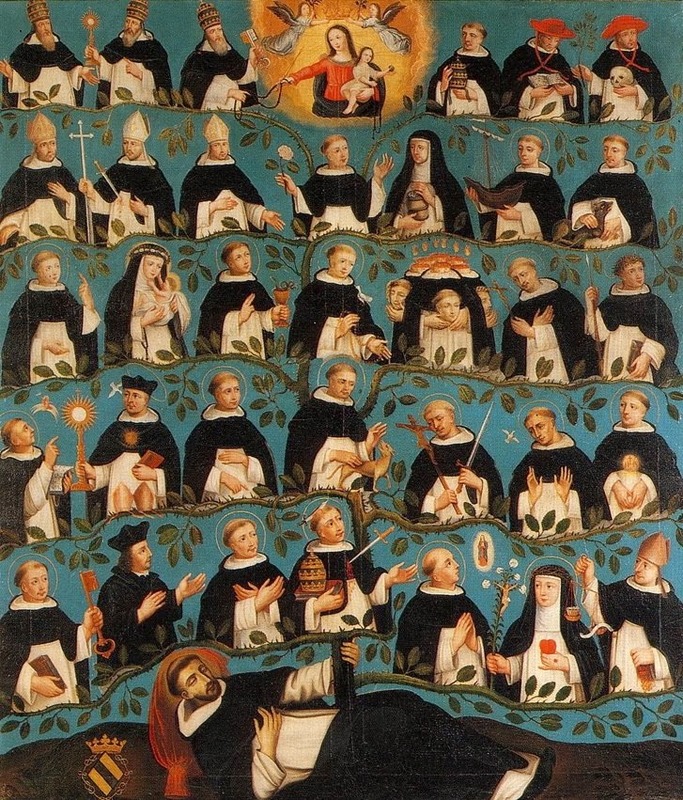 These holy Dominicans had saved their souls through the spirituality of the Order. Moreover, they lived their Dominican lives intensely and fully in the spirit of our founder, St Dominic. The essence or the 'whatness' of the Dominicans is based on this original spirituality that can be traced back to the sources of all Christian life, the Gospel of Jesus Christ, grounded in the Holy Mass, the Sacraments, the Liturgy and the traditional asceticism and monasticism. 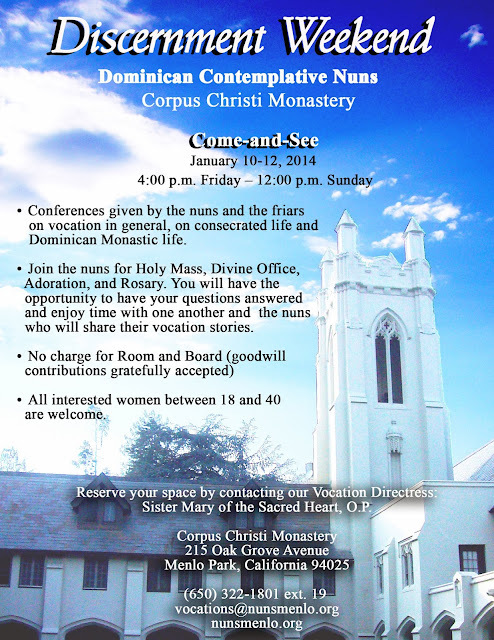 As for us, the cloistered Dominican nuns, the essence of our life also is to be the part of our Order through our contemplative action and prayer where we make Christ the center of our life and the heart of our devotion. For our monastery of Corpus Christi, like all Dominicans, the celebration of the Eucharist is central to our daily life. An important focus of our day is praise and adoration before the Blessed Sacrament and praying the Liturgy of the Hours at prescribed times. in the saints of the Order of Preachers. In recent history, as a Church we’ve recognized the shortage of priests and religious serving in the United States. And as a Church, we’ve prayed daily for new vocations. There are signs everywhere that God is answering our prayers! A study completed in 2010 by the National Religious Vocation Conference revealed there are approximately 10,000 young men and women in the U.S. discerning priestly and religious vocations at this moment. But we have a growing hurdle to these new vocations, one that has impacted this community – student loans. Of the 10,000 young men and women currently discerning vocations in the United States, 42% have student loans. Most dioceses and religious communities cannot take on the amount of student loans carried by these discerners. Our community is one of them. In fact, seven out of ten religious communities have had to turn away serious discerners because of student loans. In reports published in 2012 and 2013, the National Religious Vocation Conference confirms we are losing priestly and religious vocations because of this growing hurdle. A number of the young women who contact our monastery also have student loans that would prevent them from entering postulancy. At best, this hurdle delays their continuing formation. Sr. Mary Isabel’s entrance was delayed until she received assistance with her student loans. And we have another aspirant working to overcome this same hurdle so she may enter the postulancy. Tara Clemens completed her aspirancy in 2010 and is accepted to enter formation. Only one thing keeps her from beginning her postulancy – her student loans. While she continues to work full-time, she has also joined with The Labouré Society, a charitable non-profit organization dedicated to helping aspirants overcome this hurdle to formation. Since 2003, TLS has given grants, paid out over the time of an aspirant’s formation, totaling $2.5 million and helped over 250 young men and women enter formation. 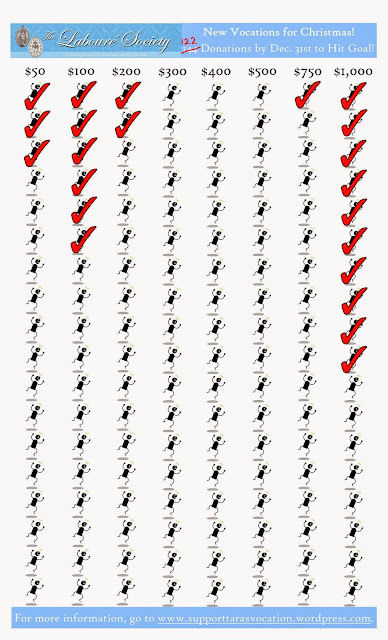 And those numbers are growing. If you have prayed for vocations, you have prayed for Tara and her fellow aspirants. Because of prayers from the faithful, God is raising up workers for the harvest—young men and women who desire to dedicate themselves to pray for and serve the Church, and proclaim the Good News to the world. But financial assistance is needed to deliver these vocations to the vineyard. Between now and December 31st, Tara is fundraising with other young men and women who have also discerned vocations, but are currently prevented from entering formation. How wonderful if they could all enter formation next year! To that end, she has a personal goal of raising $60,000 for The Labouré Society before December 31st. Your support is truly supporting the future of our Church and our world. Will you help? Please prayerfully consider making a tax-deductible donation to The Labouré Society in Tara’s honor and share this invitation with your friends, family, and parish. 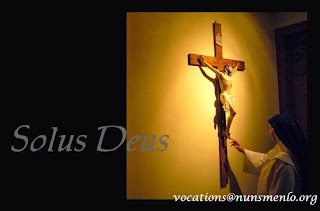 Let’s finish this year by helping deliver these vocations to formation!